With America’s education system in a state of disrepair—as evidenced in 2010’s critically acclaimed documentary Waiting for Superman—it’s clear that significant change is required in order for conditions to improve. One radical plan comes from Dr. Michael Laitman, the founder and president of the Bnei Baruch Kabbalah Education & Research Institute. According to him, education must be tailored to the concept of a society where every aspect of the world is connected. Those who understand that and go along will survive. “The adults are still in a transition phase, while the children are already ripe for it,” Laitman writes. This book is structured as a series of conversations between Laitman and co-author Ulianov, a professor of psychology at Aesthetic Education Institute in Moscow. Ulianov asks the questions and Laitman provides the answers, which illuminate his philosophy and the steps instructors, parents, and students can take. Though the material gets a little dense—after all, we are talking about rebuilding society—readers will leave with some significant matters to consider. It goes without saying that Laitman’s master plan will not satisfy everyone. 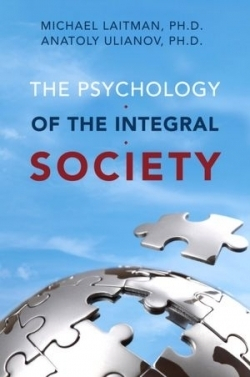 However, what’s expressed in The Psychology of the Integral Society should also get people thinking about other possibilities. In solving any difficult problem, all perspectives need to be explored. As a society, we spend so much time competing and trying to get a leg up that the concept of simply working together sounds groundbreaking in itself—since Superman is still nowhere in sight.